Men need to have good hair days too! There are so many ‘types’ of men’s faded haircuts (high, medium, low, wide, narrow, etc), and a good stylist will be able to shape the fade in a way that structures the client’s face best. 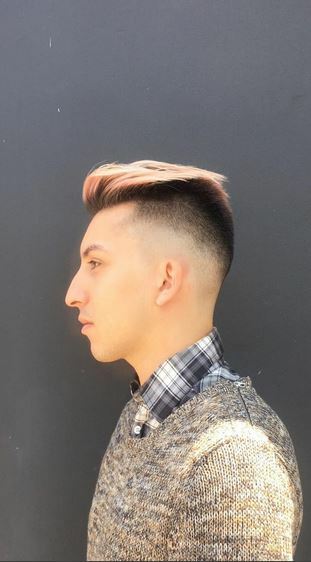 This flawlessly blended fade was done by Jonathan Antin.